Menu is the most important piece of marketing system for each restaurant. Your well-designed menu can increase your profit consistently. This is because your meals inside a food list can represent your restaurant. Therefore, designing or redesigning your menu is very crucial for its process. You are able to think menu as the part of marketing tools. How do you choose a professional food menu designer Jakarta? Choosing a professional menu designer is so important thing to consider. 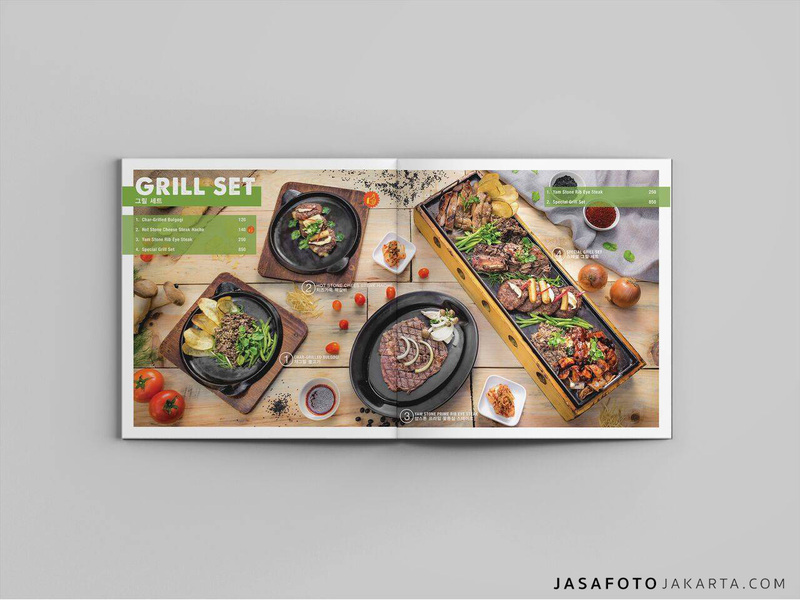 Not everyone can design a good menu, so jasafotojakarta.com comes to give you with perfect solution. We help you to make a wonderful design on your menu which is perfectly matched into your items and left potential customers with unique impression. You do not have to worry because we offer you with high quality menu design and best solution for your menu. It gives you with professional and distinctive features which set apart from other restaurants. Before you going further, there are several mistakes in food menu designs that you should avoid. Careless placement of items can decrease their value. You should consider each item from profit’s perspective and popularity as well. A good food menu must rise the popular menus and obviously visible to guest. As mentioned before that jakartafotojakarta.com can represent your menus and give unique impression to the customers. Often, there are many “high-earning” items were listed into similar category, such as: steak or seafood which make them easier to be organized. Ensure that the placement and price format in right position. If your price list was placed on the right side, the most customers will start to look out the cheapest items instead of the MOST APPEALING. Keep in mind that best menu design offers customers with easy scanning with creative names and description which been written expertly. People prefer to get decisions made from others or at least make your menu easier. If there are too many dishes on the menu, then customer will get hard time to choose and make them rarely return. You can cut off less successful items and only include the top items and profitable as well. In other hand, too few items can decrease the frequency of customer, because they will choose more options restaurant. Keep in mind that your logo is one of the most essential assets and should be interpreted into all of marketing tools, including of menu. There are many restaurants do not develop their logos and do not consider the impact as well. Using brand continuity does not always mean that you place it on the top of menu. Your font can affect your guests in the term of your identity and all of brands. You should choose right font that can draw customer by providing general feeling about experience that they will get. If you need more information about food menu designer Jakarta, then you can open official site of jasafotojakarta.com.